Updgrades small machines to the latest safety requirements by preventing automatic restart accidents, after a power interruption. Simply replaces the old power cord on machines, and plugs into standard duplex outlet. Permits the use of machine “on-off” switch, a before. Complies to the latest O.S.H.A., N.E.C. and N.F.P.A. safety standards. Replaces old, frayed, dangerous, “Ungrounded” power cords. Offers electrical disconnect compliance by unpluggin. 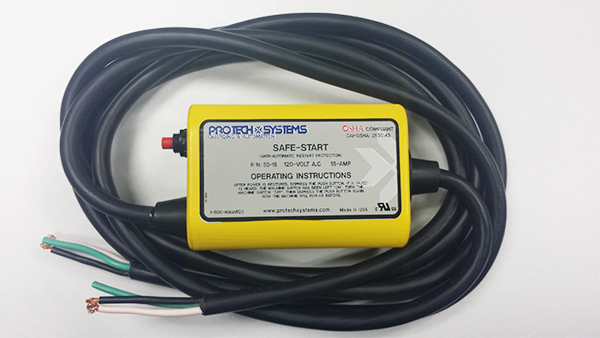 Voltage Drop or Power Interruption Protection: In the event the equipment while being operated (motor switch in “On” position) should stop due to loss or drop of electrical power due to power failure from any cause, the Safe-Start will automatically disconnect and shut off power to the equipment so that upon restoration of power the equipment will not start up even through the motor switch is in the “On” position. In order to restore power to the equipment the switch must be turned “Off” first and the reset button depressed on the Safe-Start. In the event the equipment is inadvertently unplugged and then plugged back into the receptacle while the motor switch is in an “On” position, the equipment will not restart until the reset button on the Safe-Start is depressed. 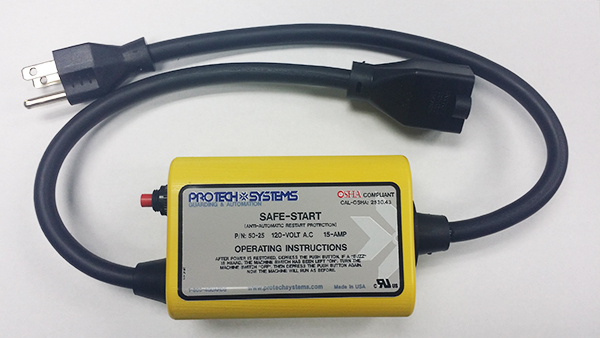 The Safe-Start is intended for installation on equipment which is driven by a small electrical motor, operating on 120 V.A.C. or 240 V.A.C. (single phase) and which is connected to the source of electrical power by means of a 3-wire flexible cord. 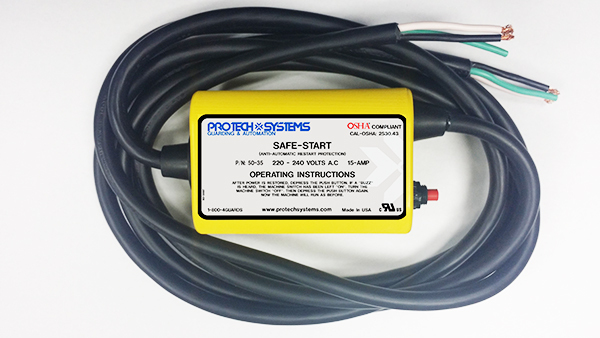 Which Safe-Start Model Should You Use on Your Machine? Use Model #50-15 on 120 volt machines where the power cord is old and/or you want the reset button up closer to to the machine for easy access. 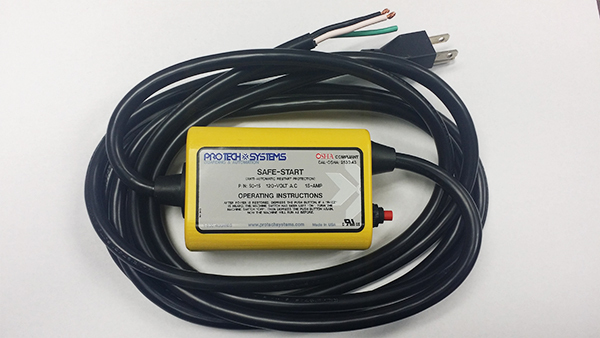 Use Model #50-18 on 120 volt machines where the power cord is old and/or you want to connect to a disconnect box or you want to install a 20 amp plug on the cord or a twisting locking type plug on the cord. Use Model #50-25 on 120 volt machines where the power cord is old and/or you want the reset button up closer to the machine for easy access. Use Model #50-35 on all 200 to 240 volt single phase (3 wire) machines. You must install any matching plugs on the power cord. The 50 Series Safe-Starts are designed and constructed to be durable enough to withstand industrial environments but also small enough to not interfere with the use of your equipment or machinery.